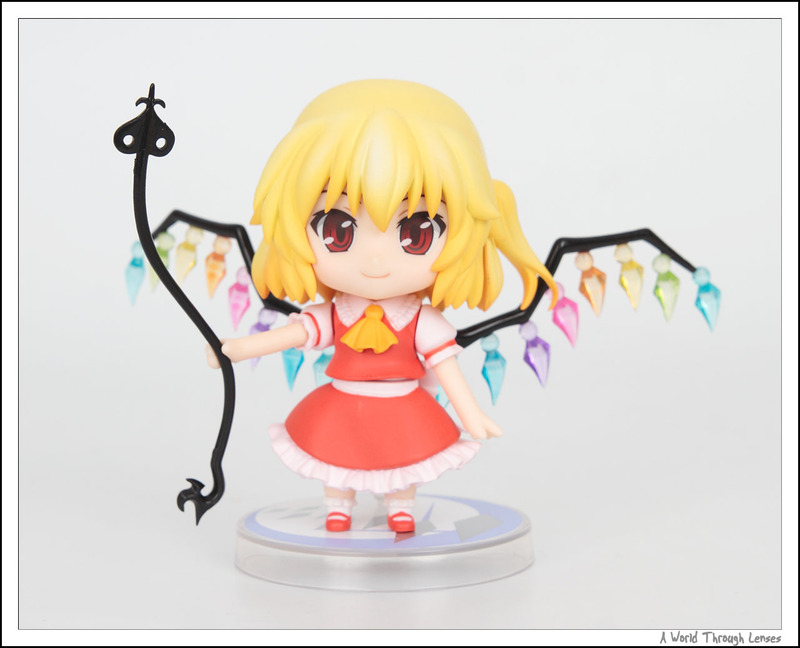 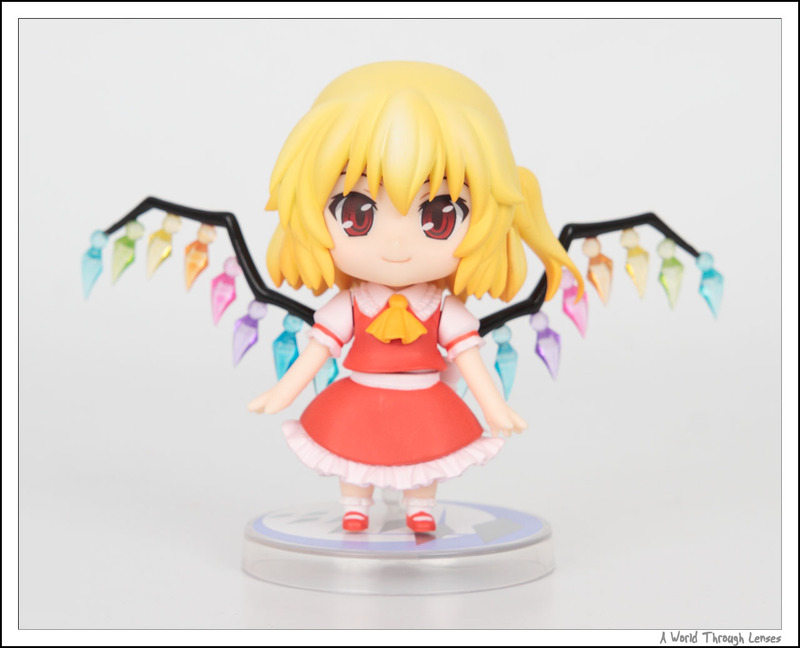 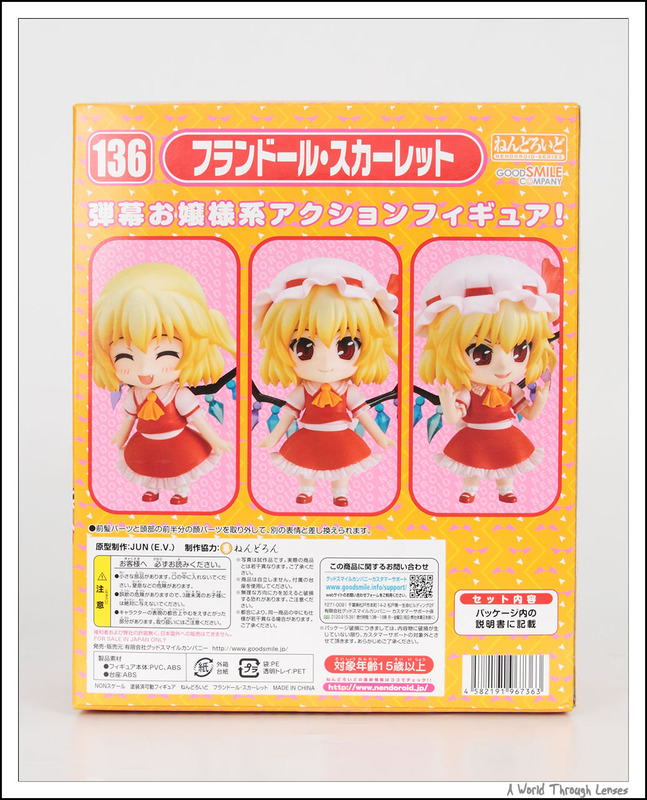 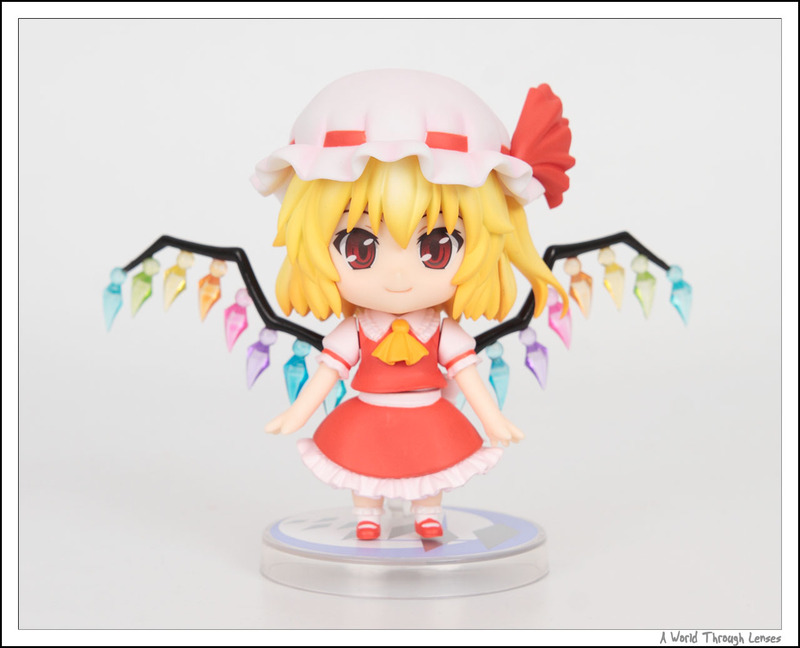 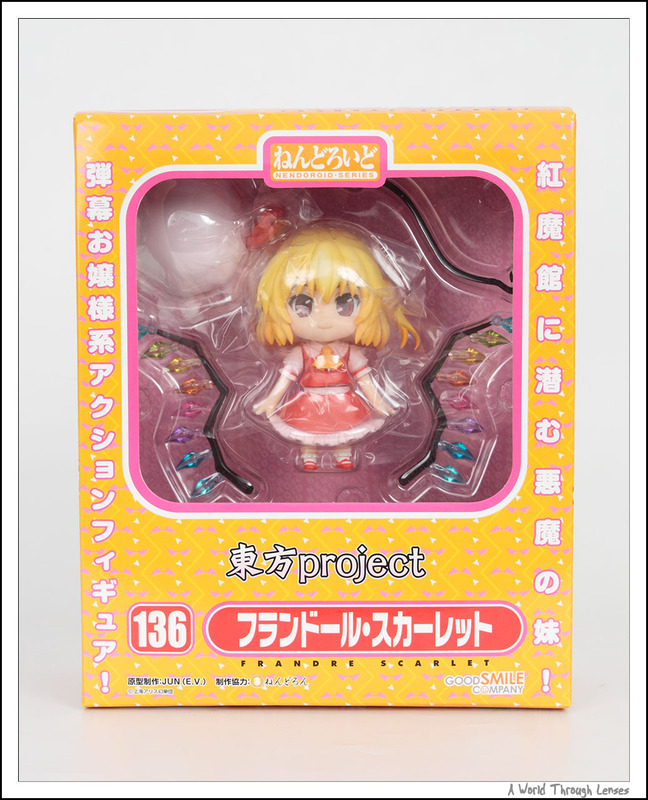 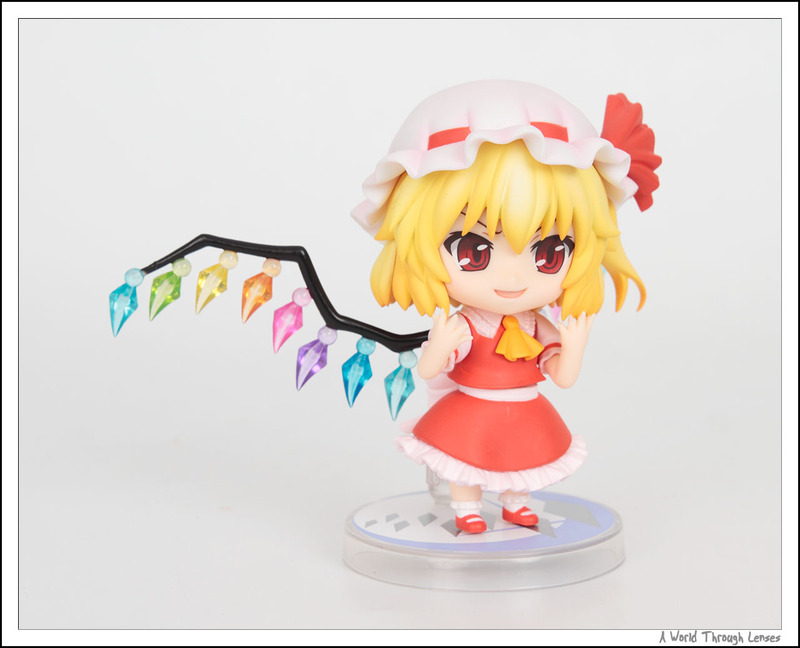 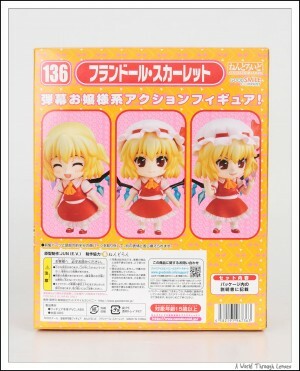 Here’s Flandre front and back. 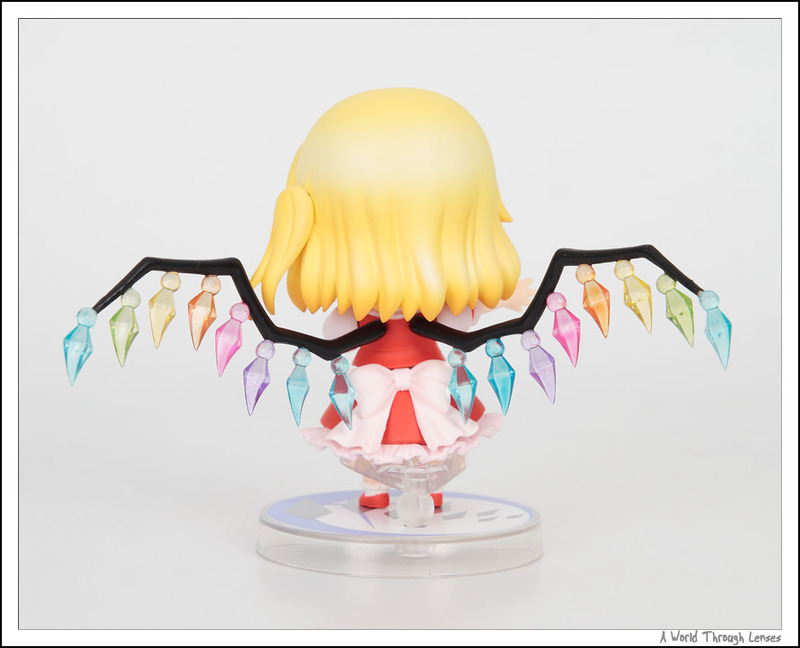 Those 8 coloured crystals on each side of her wings are very nicely done. 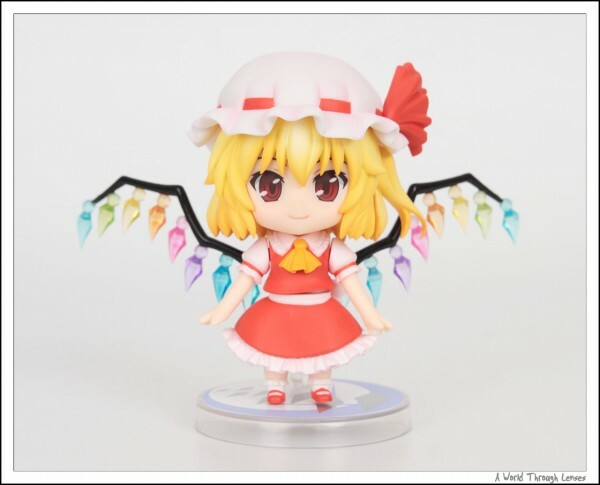 Her hat can be put on or removed. 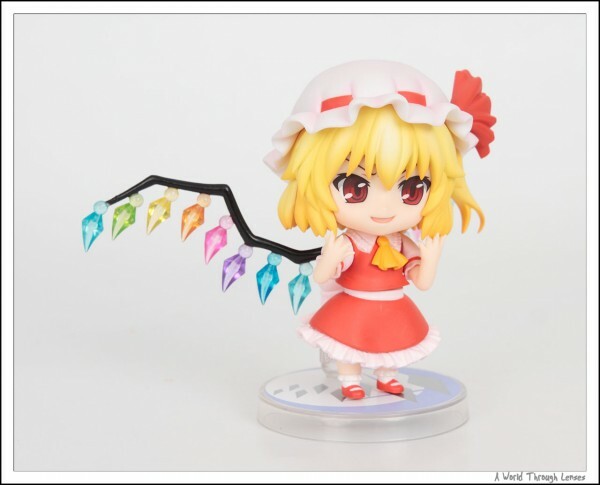 I think she look better with out the hat though. 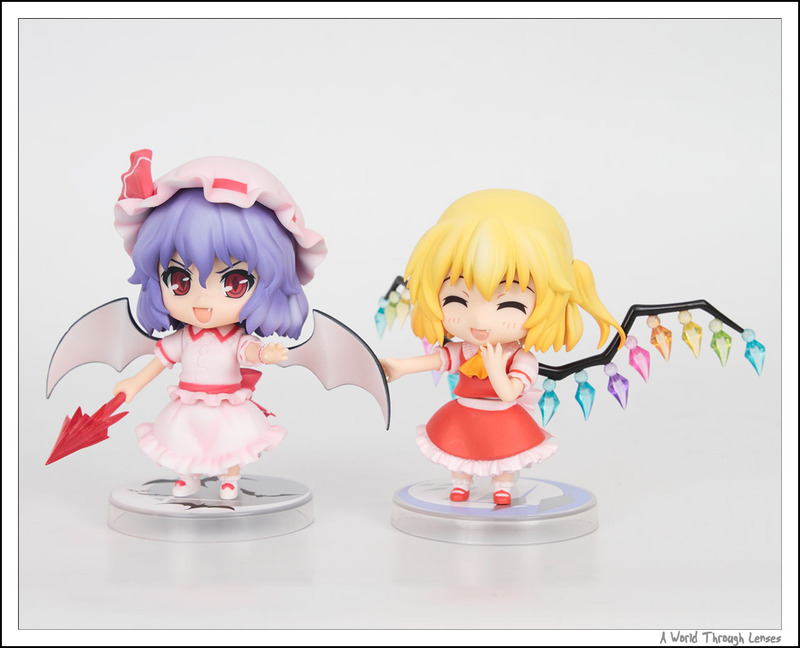 Her elder sister Remilia on the other hand looks better with the hat on. 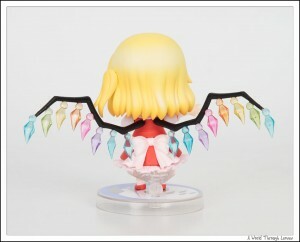 Here she’s holding her weapon – Laevatein. 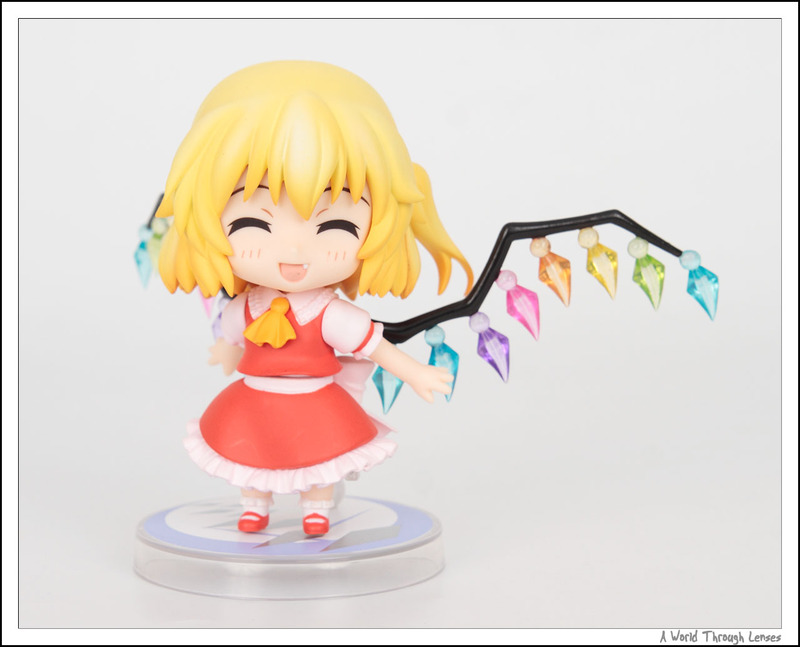 Here’s her cute smiling face. I like this face the best. 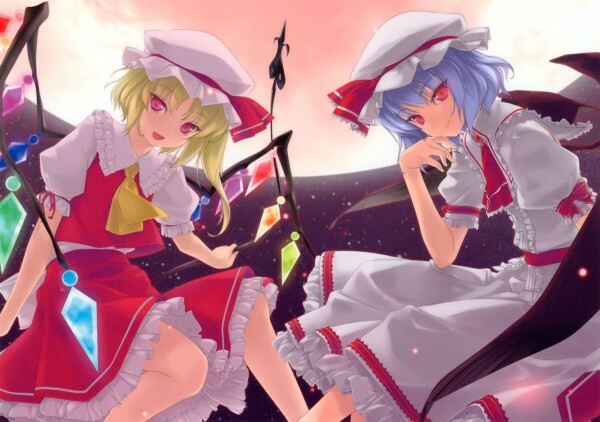 And here’s a 2D illustration of Remilia Scarlet and Flandre Scarlet.